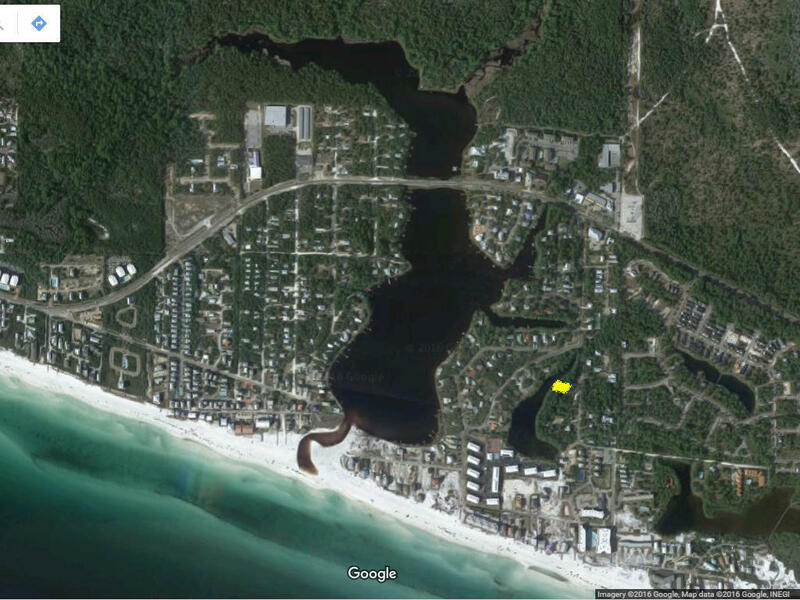 South of 30a on a Tresca Lake in Seagrove between Seaside and Rosemary Beach! No Customary Use issues (walk to Walton Dunes Public Access with 2.5 acres and 350 ft of beach)!!! No Beach Mouse issues! No Coastal Dune Lake Zone restrictions! No HOA! No build-out time frame! Platted at .26 acres but a BONUS 0.1 acres when Tresca Lake was lowered, dock allowed (buyer to verify all dimensions and littoral rights). Public park with boat ramp to Eastern Lake is just one lot away! ''private'' road w/ wooded buffer keeps you close to the action with privacy but without the traffic. Have it all at this location. $3k Geo-technical study done and included: X flood and slab on grade OK. $15k plans for 4,200 sqft 5/5.5 house, 3 car, with pool by Prescott Architects available (not included).